Our pioneering spirit has taken us to the Moon, helped us conquer the oceans’ depths, and allowed us to time the world’s most important sporting events. Rolex is the largest manufacturer of Swiss made certified chronometers. The company exclusively offered Certified Chronometers in all models since 2000. Watches are usually oriented towards three categories: Diving, Aviation, Luxury. Bucherer traditional watchmaking competence combined with the highest level of technological innovative strength, exceptional performance. Manufactures only mechanical watches. Oris divides its watches into four subsections: Motor Sport, Aviation, Culture and Diving. Founded 1888. In 2003, Roamer returned to manufacturing of mechanical watches. It remains an independent watchmaking company. If we can imagine it, we can make it, and if we can make it, we will. This vision turned a clockwork manufacturer into a world-class brand. Part of Festina watch company with its headquarters in Barcelona. Since 1856 manufactured high-quality mechanical timepieces born of traditional craftsmanship. Modern wristwatch design such as Porsche Design. Ebel has forged itself a reputation of luxury, elegance but the brand has always valued innovative high-end design as the signature of its exclusive watch making. Founded in 1980 the company currently operates as a wholly owned subsidiary of France's LVMH. It currently makes the most expensive watch in the world, the "$5 million". Maurice Lacroix has collaborated with Wikipedia's founder Jimmy Wales, musician Bob Geldof and British golfer Justin Rose. Men's watches by Certina travel alongside the life of today's modern man with top class and reliability. Blancpain produces fewer than 10,000 watches a year. Each watch is made by a single watchmaker. Founded in 1735, part of Swatch Group. Jewellery & luxury watches including quartz and mechanical timepieces, gem-set and technically complicated models, classic and sporty ones. 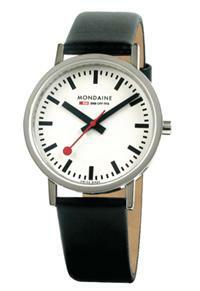 Founded in 1898, located in Tramelan, maker of hand assembled watches with mechanical movements. High-quality and high-price watches since 1955. The Coin watch, is still available almost fifty years after its debut. 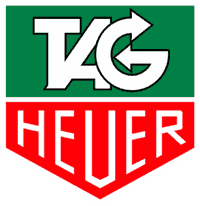 Founded in Biel/Bienne in 1884. The company produces 70,000 to 90,000 watches annually. The Swiss railway watch. Apple purchased a license to use their watch design on all their ipad & iphone clocks. Best known for its Aviators watches. Member of the Swatch group. Known for its iconic Museum Watch which is defined by a single gold dot symbolizing the sun at high noon, the hands suggesting the movement of the earth. Family-owned Swiss luxury watches brand founded 1976, a period of crisis for the watch making industry. Privately held company. Dedicated to excellence for over 165 years in manufacturing mechanical watches. Among the most reliable ever made. One of the oldest surviving watch-making establishments and is the pioneer of numerous watch-making technologies such as the tourbillon, by Abraham-Louis Breguet. Manufactured in 2005 one of the most complex wristwatches made out of 834 parts and 16 horological complications. Famous for their Atmos clock that derives energy from small temperature- and atmospheric pressure changes in the environment (no winding needed). The brand is one of the forerunners in the creation of ultra-thin movements. Part of the Richemeont Group. Internationally regarded for its style of craftsmanship and manufacture. Universal claims creating the first-ever chronographic wristwatch in 1917.